The downtime is upon us! It’s almost time to say goodbye to Season 7, so make sure you jump in and complete those weekly challenges before time’s up. Fortnite Season 8 begins today and already we’re already starting to see changes around the map including a massive volcano and new named locations, a whole set of sparkly new skins and pets, and of course an entirely new Battle Pass. Update: Fortnite is offline for the Season 8 update. It weighs in at 4.4GB on consoles so you might want to get that downloaded so you’re ready to go when it comes back online in a few hours. The countdown on the Season 7 Battle Pass screen has changed to “very soon”, and we can see that the downtime to transition into the new seasons starts at 9AM UTC. Based on previous downtime lengths, this means that the Fortnite Season 8 start time will between 10:30AM and 1PM GMT – which is 5:30AM and 8AM ET and 2:30AM and 5AM PT on Thursday February 28. The event has been dubbed the Cataclysm by the community. The ground is now beginning to crack open in various locations. The datamined information shows that around 50 tremors are set to affect the map between now and the start of Season 8, with a few happening each day. Some people have theorised that we might be able to go inside these new cracks in the earth, with air currents allowing easy access from the underground back onto solid ground – a bit like when Loot Lake was a floating island. Epic Games tweeted the first Season 8 teaser over the weekend that points to a Pirate theme, so we may well see the island fracture into smaller islands that we can sail around in ships. Wailing Woods has also started to rot, with leaves turning brown. Donald Mustard, the Creative Director at Epic Games, changed his location on Twitter to Wailing Woods. Mustard often changes his location to upcoming key areas in Fortnite, so you can bet something drastic is going to happen to the woods which have been there since the very beginning. A Fortnite x Sprayground backpack collaboration was announced last week, revealing a new location called Sharky Shrubs. Its product description has been changed to remove the named location, so it might well have been an accidental spoiler from Epic Games. As well as corroborating the above map change theories, a few leaks have hinted about more new features coming to Fortnite. 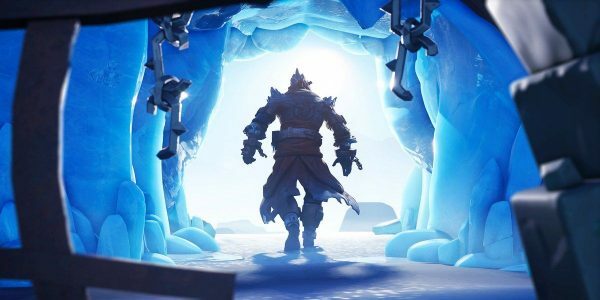 As well as the classic Battle Pass tiers and challenges, an alleged leaked image distributed by GamingIntel appears to show that Season 8 will allow players to customise their lobby background as well as introduce new weapons and customisation items to Fortnite Creative, as the mode receives a full launch. Pirates are coming in Season 8, which has surprised the community. 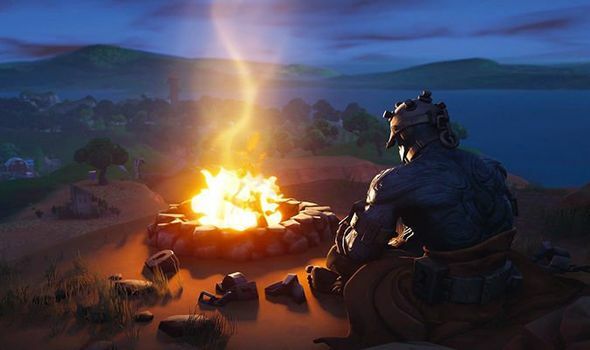 Asked to describe Season 8 in four words Eric Williamson, Fortnite’s lead designer, quoted the word “bananas” four times. Tomatoes are a common item in Fortnite that provide a health bonus and can be thrown at enemies, so bananas will probably work in a similar way. We could also see the likes of rideable dragons in that case or the return of bows and arrows. There’s also like to be lots more sword and cannon-like weapons available. Fortnite devs are also looking to introduce respawns to Fortnite alongside single occupancy vehicles after the success of the Driftboard.